Buena Vista bed and breakfast travel guide for romantic, historic and adventure b&b's. Browse through the iLoveInns.com database of Buena Vista, Colorado bed and breakfasts and country inns to find detailed listings that include room rates, special deals and area activities. You can click on the 'check rates and availability' button to contact the innkeeper. Buena Vista, Colorado lies within the Rocky Mountain's Collegiate Peaks. Buena Vista is considered a postcard town because the city of Buena Vista, has maintained its Wild West charm in its streets as well as in its people. In Buena Vista, you can watch the aspens turn gold as you embrace the snow covered peaks in the neighboring areas. Enjoy the clearest white water rapids in the country under the heat of the sun, or climb the lush green mountains and hills until the sky is just a few steps away. A day in Buena Vista also offers ventures into old gold mines full of wonderful memories of the Wild West. By A River House Lodge. 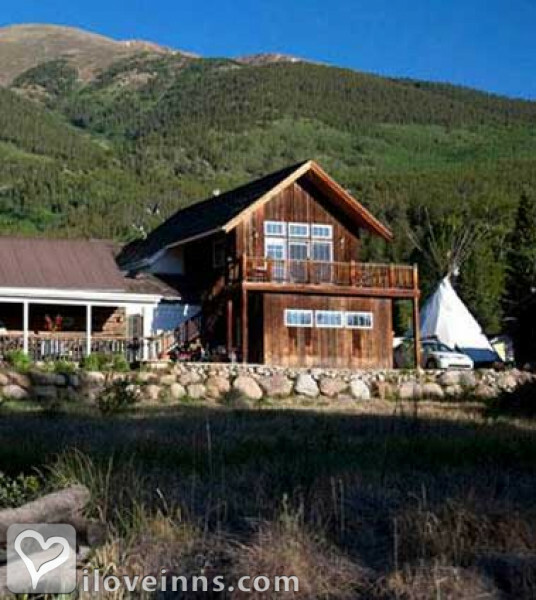 Buena Vista is located in the shadows of several 14,000 foot mountains including Mt. Princeton and Yale. These beautiful mountains and the mighty Arkansas River provide endless outdoor activities including white water rafting, hiking, biking, ziplining, ATV riding and more! By A River House Lodge.